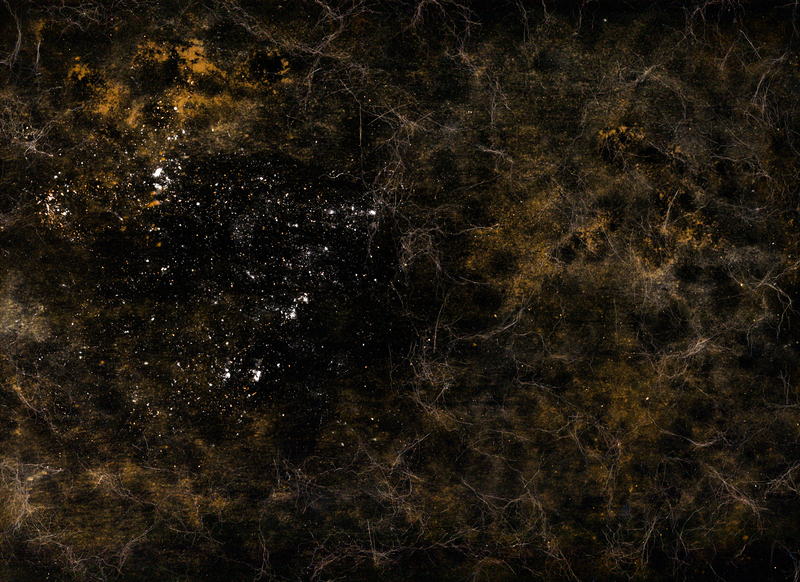 A nebula made from soy sauce, coffee, flour and salt. A galaxy formed from curry powder, cinnamon and poppy seeds. Welcome to the intergalactic and largely edible inventions of Seattle-based engineer-turned-photographer Navid Baraty. An inventive and multi-talented creative (you can buy his planet-themed cross stitch patterns on Etsy), Baraty posted a new gallery this week of swirling, astronomical images created by putting food items on an Epson scanner. 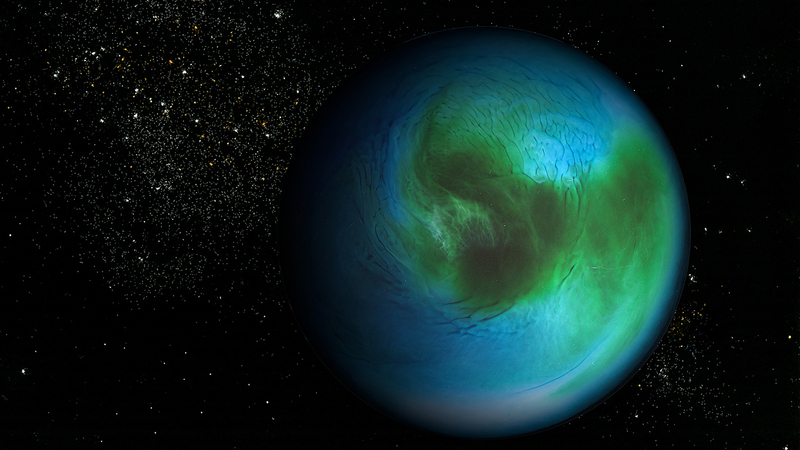 The image above is described as an Earth-like planet made from the bottom of a glass filled with bourbon, coconut milk, water, soy sauce and food coloring. The stars were created with salt, flour, cinnamon and curry powder. "I've always been a huge space geek," Baraty explained on his popular Reddit post about the project. 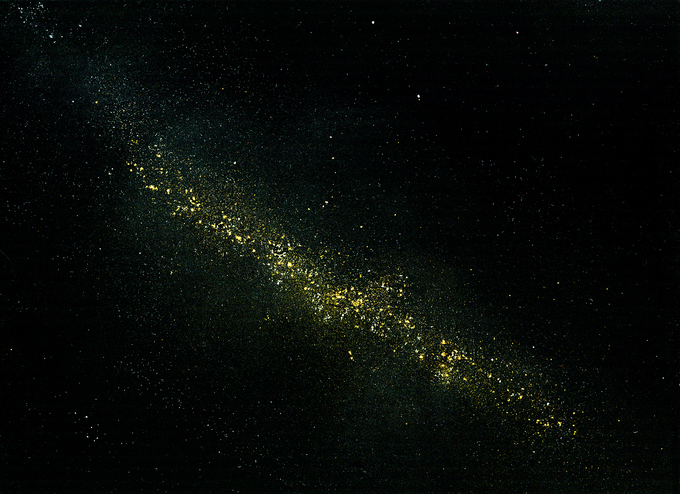 "I'd also seen other scanography where people scan objects with the lid open to create an all black background and wondered if I might be able to use the same method to make space scenes out of spices for stars/galaxies, liquids for planets, etc. I was pretty surprised at how realistic it all can look." OK, it's not all strictly edible. One of the images, "Two-Cat Nebula," was made from Sriracha, chili powder, cinnamon, baking powder, salt—and the fur of two cats. Check out some of his creations below (with Baraty's description of the components), and visit his full gallery on Imgur and his photography site. You can also follow his project on Instagram. "Ring of fire—turmeric, powdered cheese, cinnamon, baking soda." 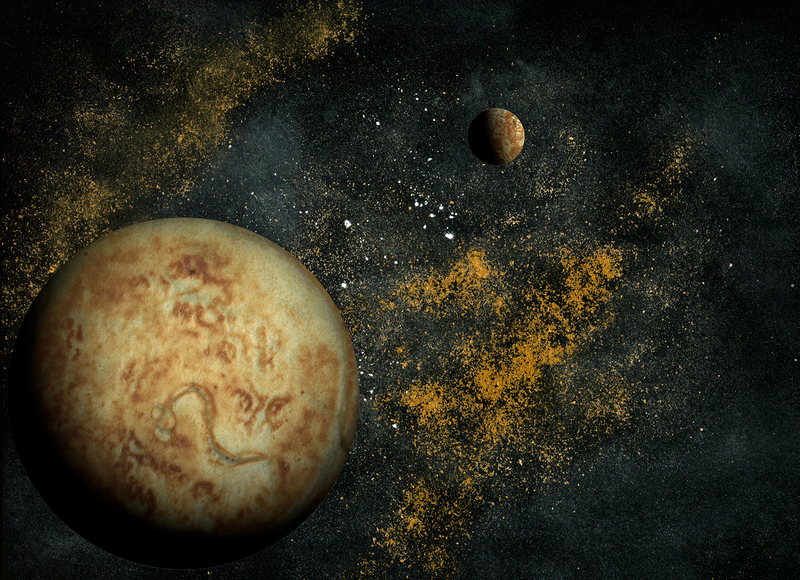 "Planet and moon—pancakes. Background—olive oil, flour, cinnamon, cumin, seasoned salt." 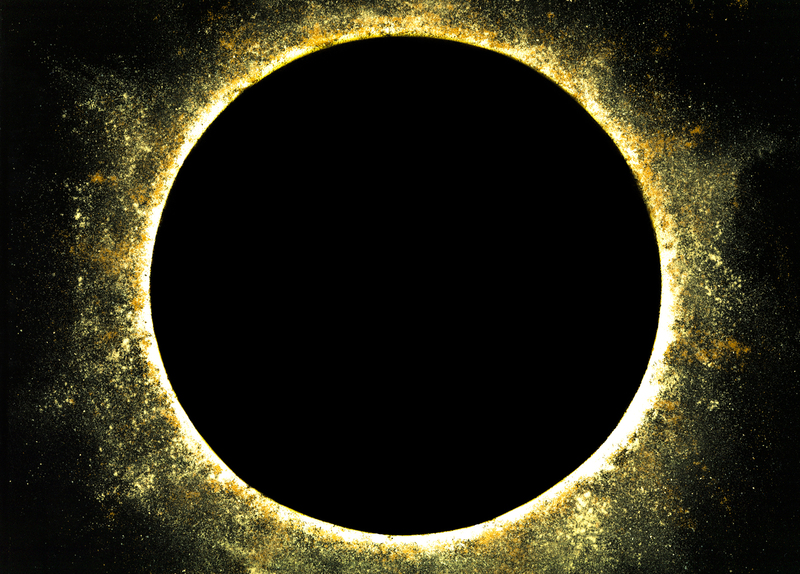 "Edge-on galaxy—curry powder, cinnamon, poppy seeds, flour, salt, cheese, cumin." 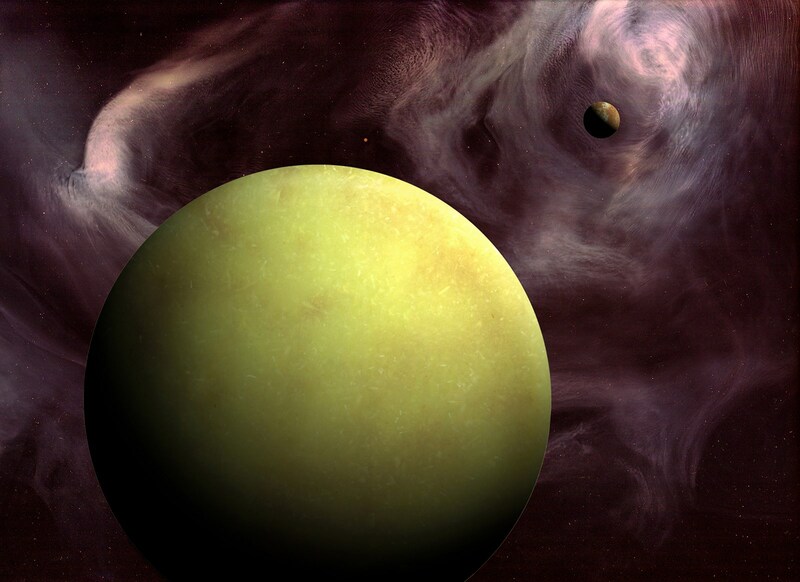 "Planet—bottom of a glass containing orange juice, wasabi, tomato sauce, half & half. Moon—pancake. Nebula—water, coffee, food coloring, half & half." 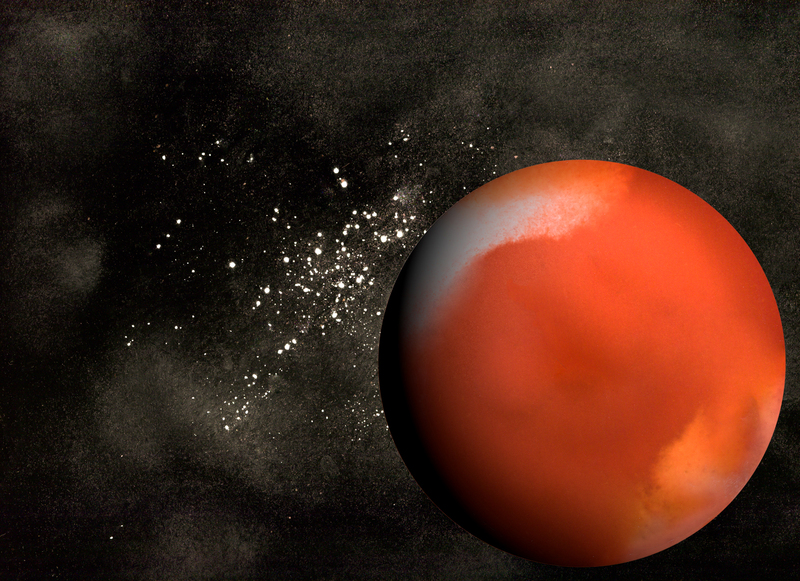 "Mars-like planet—bottom of a glass containing tomato sauce, water, food coloring, soy sauce, coconut milk. Background—flour, baking soda."